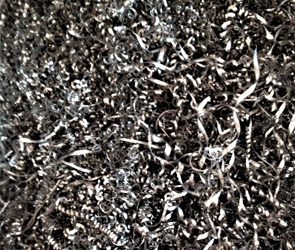 From a price for a particular metal to an industrial project tendering request Premier Recycling is your solution. Premier Recycling has been servicing the scrap metal recycling needs of consumers large and small since 1994. With its roots in Northern Ontario, Premier Recycling is uniquely suited to manage the scrap metal management needs of mines and industrial clients. To accommodate even the furthest distances between job sites and its yards, Premier Recycling has developed the mobile scrap solutions that it is known for today. If your process generates scrap ferrous or non-ferrous metal as a bi-product, Premier Recycling is an ideal partner for your organization. 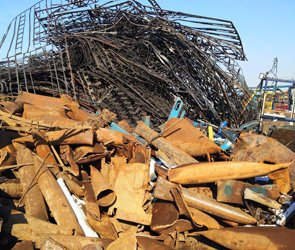 Through an onsite visit and consultation, our skilled and experienced team of field personnel can create a scrap metal recovery solution that works in synergy with your process. Our bin service options and scrap metal management solutions are reliable, efficient and cost effective, ensuring you recover value from your scrap metal. Electricians, Plumbers, Contractors, Mechanics, Machinists and Tradespeople have relied on Premier Recycling for our honesty and prompt payment for scrap metal for over two decades. Whether working at a single site or accumulating scrap metal and electronics through contract work, Premier Recycling pays cash on the spot for materials dropped off at any of our yards. For customers that create predicable yields of scrap metal or are not equipped for transportation, we offer on-site bin service and other convenient mobile scrap removal solutions. 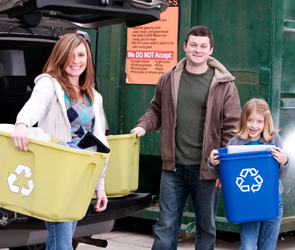 Contact your nearest Premier Recycling for pricing, drop-off and pick-up options. All Premier Recycling scrap metal yards are open to the public offering both public and commercial cash-on-the-spot for scrap metal and end of life electronics. If you are unsure if we buy an item or need assistance transporting a large item contact your nearest Premier Scrap Metal and Electronics Recycling office. People looking to divert waste from landfills and make a positive difference in the community!